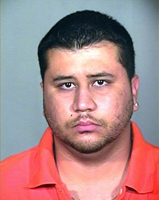 -Some groups are seemingly breaking the law by soliciting the murder of Zimmerman. The New Black Panther Party has offered a $10,000 reward for the capture of Zimmerman Dead or Alive. You won't find Eric Holder and the DOJ charging them with anything though. -If the liberal media wants to say that Zimmerman is white then they must also declare that Obama is white and is not the first black President because Obama is half white too! -Even former NAACP leader C.L. Bryant has accused Sharpton and Jackson of exploiting Trayvon Martin to racially divide the country. Instead of bringing races together in American, the Democrats and minority groups like the NAACP are driving even more wedges between racial groups in America by alienating Hispanics with cries of racism. Instead of focusing on the actions of this one man, they are making this case a nationwide race card platform and also a platform advocating for more gun control. Let me make one thing clear. My article is about racial hypocrisy surrounding this shooting and how it will backfire on Obama and the Democrats as they alienate Hispanics by playing the race card. My article is not written to take the side of Zimmerman or Martin. I personally think that things are probably a little more complicated than what the media makes things out to be though. No one really knows the facts yet and most people are just going off of emotion. People have every right to be upset and demand more answers about what happened and why an unarmed teen was shot and killed. No one is arguing against that. Heck, I want to know what happened too! I want the truth to come out and justice to be done too. I suspect that when emotions are taken out of the equation and the facts come out, it is not as open and shut a murder as people think. For instance, Martin was a 6'2" football player suspended from school for having weed, and not a little kid like the picture on the news portrays him as. 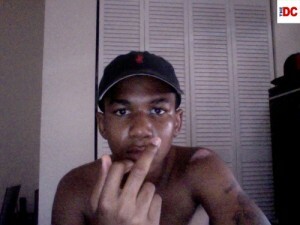 Trayvon's recent tweets show his violent, sexist and Extremely Vulgar side. Also, police have released new facts and evidence corroborating what Zimmerman and witnesses have claimed, that Zimmerman was attacked, was the one crying for help, and was having his head pounded into the ground by Trayvon when Zimmerman shot in self defense. Again, I am not defending Zimmerman. I am just showing how the media has completely distorted this instead of letting everyone see the truth. I do not know what happened that night and I do not know whether or not Zimmerman started the fight and committed murder. I just know that this media storm is being driven by pure emotion and racism. I think the actual facts of the case are probably a little more complicated than people think. At the very least, Zimmerman should face a trial and be judged by a jury who can see the actual facts and decide whether or not Zimmerman broke any laws that night. Not everyone wants just a trial and the truth though... some people are bringing race into this and using this tragic death as a pulpit to try to spew racial hatred and stir up racial tensions. Some groups are seemingly breaking the law by soliciting the murder of Zimmerman. The New Black Panther Party has offered a $10,000 reward for the capture of Zimmerman Dead or Alive. You won't find Eric Holder and the DOJ charging them with anything though. Al Sharpton, Jesse Jackson, NAACP and New Black Panthers are all up in arms because they say Trayvon Martin getting shot and killed by George Zimmerman in Sanford, FL had to do with race. This death had NOTHING to do with race. Zimmerman, whether right or wrong, has a history of calling the police and following ANYONE of ANY race. In the 911 call, Zimmerman did not display any racism. Zimmerman himself is a Spanish speaking Hispanic minority who has black friends/family members and has no history of racism. One of Zimmerman's black friends, Joe Oliver, has even gone on the news to defend Zimmerman against accusations that he is a racist. Oliver said that there were recent break-ins and Zimmerman was trying to stop another one from happening. He said Zimmerman did not want to kill anyone and cried for days after he shot Trayvon. Turning this tragic death into a soapbox to divide the country along racial lines with cries of racism is going to backfire. Even former NAACP leader C.L. Bryant has accused Sharpton and Jackson of exploiting Trayvon Martin to racially divide the country. Hispanics are generally conservative, but they have stuck with the Democrats because they have been tricked into believing that the Democrats, and minority groups like the NAACP, are on their side. Minorities like blacks and Hispanics stick together right? It was easy for Hispanics to stick with the Democrats and watch the Dems and NAACP play the race card as long as the race card is only being played against whites. Now the race card is being played against Hispanics in the national media and Hispanics are being portrayed as racists, things will change. 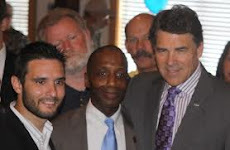 I would expect that Hispanics, who have already started to wake up and realize that the Republican Party is where they belong because of their conservative values, will be turned away from Democrats even more now that the tide has turned and the Democrats and the NAACP have played the Race Card against Hispanics. The Democrats and NAACP have made a potentially fatal move in an important election year. By attacking Hispanics using the false race card, they are turning their political "allies" into the enemy and are driving a wedge in between the minority groups. This will open the eyes of Hispanics. Hispanics will feel betrayed and attacked by being painted as racist against blacks. Hispanics will wake up to the realization that the Democrats and these other minority groups do not care about them and they will open up even more to the Republican Party. Hispanics will see that Republicans have the right values and stand on solid foundations, instead of shaky foundations based on promises and racism like the Democrats. Some liberal media outlets, like PBS, have realized that attacking a Hispanic as being racist against blacks will hurt the Democrats and so some of these news outlets have actually been falsely stating that Zimmerman is white. Zimmerman is a Spanish speaking Hispanic and is NOT white. Sure, Zimmerman has some white in him, but so does Obama. 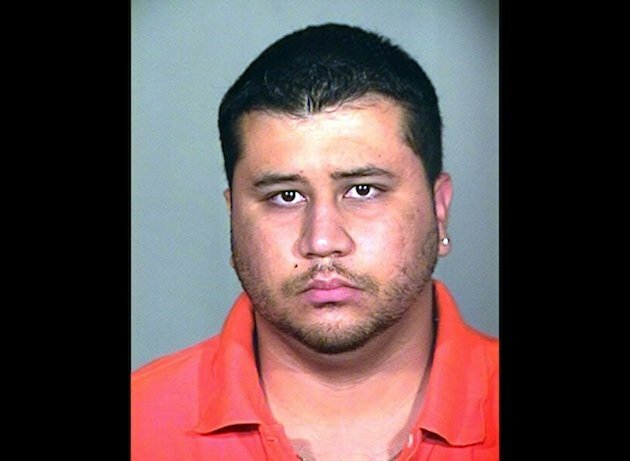 Zimmerman is as white as Obama is White. If the liberal media wants to say that Zimmerman is white then they must also declare that Obama is white and is not the first black President because Obama is half white too! The general public is not stupid. 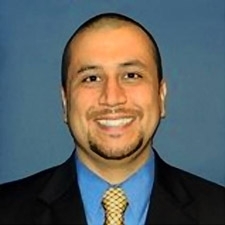 The general public has seen pictures of Zimmerman and knows he is Hispanic and not White. Sharpton and Jackson and the NAACP brought the Department of Justice into this situation. After all, Obama and Eric Holder will surely be able to do what the local police have not and press charges against racist Zimmerman right? Wrong. The DOJ cannot get involved in State investigations unless they are able to find beyond a reasonable doubt that racism was the motive in the shooting. That is the only way they can arrest and charge Zimmerman for a federal hate crime. The DOJ will likely NOT be able to charge Zimmerman because there was no racial hatred involved. I am not saying a crime was not committed. I am saying that race was not involved. The DOJ might be watching but they will ultimately not file hate crime charges and will leave it up to the state to handle the case/trial. This inaction by the DOJ means that Obama and the DOJ will have "failed" in the eyes of those in the black community who want nothing less that hate crime charges. Not only will Obama eventually fail the black community in this situation by not being able to press charges, he has already made a mistake in this situation by personally commenting on an ongoing, state investigation. Obama's comment on this ongoing investigation was more than just a simple comment though. Obama's comment brought emotion and race into the situation by saying that Trayvon could look like his son if Obama had a son. This Turmoil shows the racial hypocrisy of Al Sharpton, NAACP, and Jesse Jackson. "Jesse Jackson says that blacks are under attack" in response to this teens killing. He is right, blacks are under attack, but not by Zimmerman, Hispanics or Whites. Blacks are under attack by abortion. Planned Parenthood was started in an effort to keep the black population down, and continues to target blacks. More blacks are killed by abortion that by anything else. Blacks are also under attack by blacks. According to the DOJ, blacks in America represent only about 12% of the overall population, and yet blacks commit over 52% of all murders in America, and the majority of blacks who get killed are killed by other black people. Specifically, in 2010, 2720 Black Americans were murdered, 2569 of them were killed by fellow Blacks. In 2010, 218 Blacks were murdered by white people. If Al Sharpton and Jesse Jackson really wanted to help the black community from getting attacked and killed then they need to turn their attention on addressing black on black violence. Instead, they continue to show their racial hypocrisy by pulling the race card in a situation where race is not involved and trying to make it seem as though all other races hate and want to kill the black race. Why do Sharpton and Jackson not care about the 9 month old baby who was gunned down in Detroit? Why no outrage and marches through Detroit to find the killer of this innocent baby? Oh yeah, because the killer is likely not a white person and so Jackson and Sharpton do not care about that dead child because they cannot pull the race card. How about the white, unarmed war veteran, James Whitehead, who was shot in cold blood by a black off duty police officer Robert Arnold in Orange, TX? Where is the national outrage of the racially charged attack where a 13 year old white boy was set on fire earlier this month in Kansas where the attackers said "You get what you deserve, white boy." Oh yeah, they don't care about that injustice because they cannot pull the race card. In fact, there are 15,000 to 20,000 murders of babies, children, adults, senior citizens each year. Why not care about any of those murders? Racial hypocrisy over the years has made it painfully clear that Al Sharpton, NAACP, New Black Panthers, and Jesse Jackson do not care about Justice for all. They only care about Justice when they can get in the national spotlight and pull the race card against any race other than the black race. Media is CLEARLY biased against Zimmerman.. The Mainstream Media clearly has clearly used old pictures to make Zimmerman look criminal and make Trayvon look like an innocent kid. They doctored pictures of Trayvon Martin! 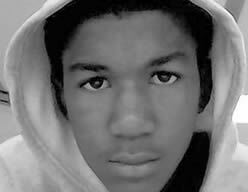 This picture of Trayvon is from several years ago and make him look like a little child. Why not use recent pictures? 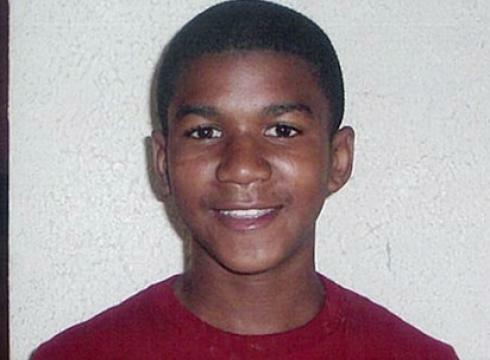 The media intentionally has tried to make Trayvon look like a child by using a picture of Trayvon from years ago instead of using recent pictures that show him grown up and instead of 6'2". The media has also been using a picture of Trayvon in a hoodie. 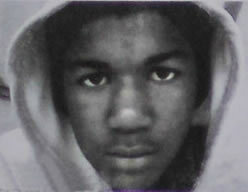 The original picture of Trayvon in a hoodie has been extremely doctored to make Trayvon look younger and innocent. This CLEARLY shows how the media is biased against Zimmerman.